Robert “Big Bob” Isbister Sr. earned the respect and admiration of all who knew him. The well-known flying wing who, “…roamed the gridiron like a friendly bear, cuffing down opponents, helping them up and patting encouragement to take the sting out of the bruises…”, played with some of the greatest of Hamilton’s athletes. 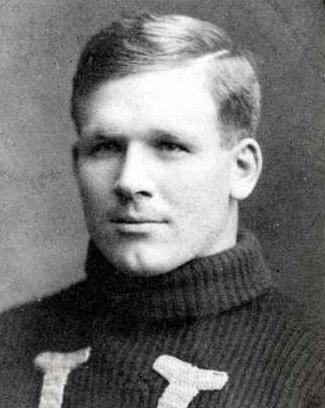 During his playing career he helped the Hamilton Tigers win two Dominion Championships in 1906 and 1908, as well as Grey Cup victory in 1913. Following his playing career, Isbister became the president of the Interprovincial Union in 1920. He was also an intercollegiate and interprovincial referee, and a member of the Board of Governors of the Hamilton Tiger Football Club in 1933. Bob Isbister Sr. is a member of Canada’s Sports Hall of Fame.